When it comes to posting content on your social media platforms there is actually plenty you can post about (feel free to grab our free content calendar here) but what is the best type of content to post? While setting our marketing strategy for 2019 we looked back on what had worked and what hadn’t for us during the past year. We also looked at what similar companies were doing in order to compare different strategies, content and trends. 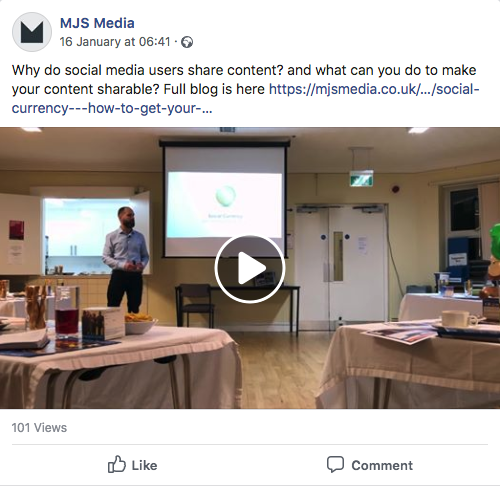 As we browsed these social media feeds, we started to notice that lots of businesses, both in our sector and other sectors, were posting very impersonal content. I may even go as far to say it was just fluff stuff rather than valuable content. The strategy seemed to go like this. Pose a question relating to the industry, or offer a "did you know" fact, alongside a generic but vaguely related stock image (some were very cheesy links), perhaps with a logo stuck on top, and post away. This really got me thinking about this type of strategy. Most businesses I talk to want to be different from others and are aiming to demonstrate why someone should use them over a competitor. Demonstrating your unique selling points and points of difference are the basics of separating yourself from the herd and ensuring customers want to spend their money with you. 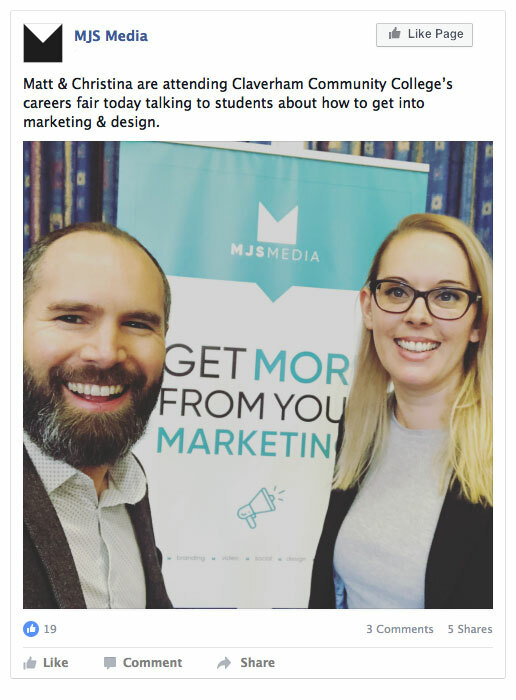 Yet this common strategy was creating content that literally anyone could create, no matter how experienced they are in the industry, so it does nothing to set a business apart! Create content that no one else can. This is now our mantra when creating content for social media. Our Instagram strategy which I talk about below works on a 50/50 rule for this content, but our Facebook page aims to be at 75% original, unique and exclusive content. Below are some real life examples of content we have created that separate us from someone else. 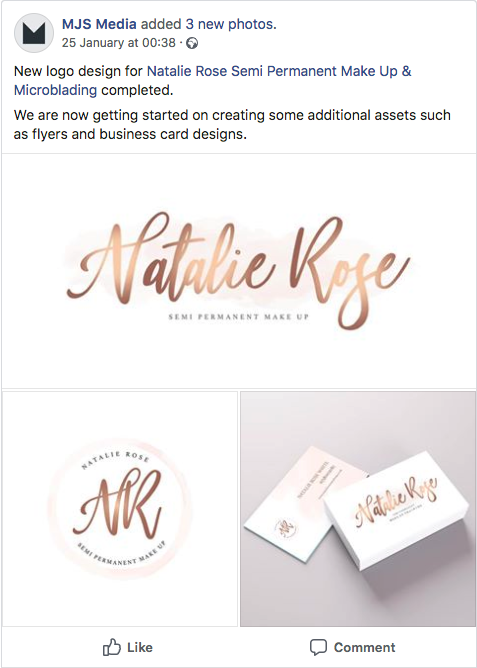 We recently helped Natalie Rose White with a rebrand and promotional materials, so we shared some visual mock-ups on our socials. Posts like this show prospective customers exactly what you can do. It also reminds past customers of the range of different services you offer! Behind the scenes within the business. These posts show your personal side and what goes into running your business. Facts tell, stories sell. 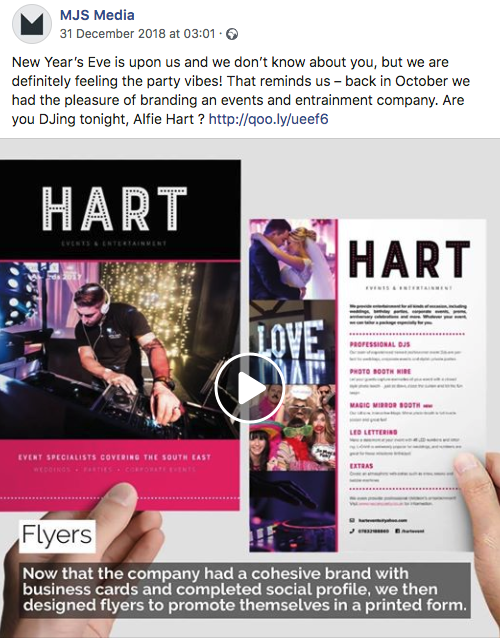 These types of posts can expand on the work you do and should be posted on your website and social feeds. If you want to post facts, then why not do these in a video? It can help personalise your social media and saves using a corny stock image! As I mentioned above, our Instagram strategy has changed. Instagram is different from Facebook. Facebook has a feed but Instagram’s grid view on your profile page lays out all of your posts side by side, so if you want to really step up your game you need to consider how posts will look next to each other. We had known for a little while that our feed was looking very cluttered and not cohesive enough, so we solved this with a 50/50 approach. We created minimalistic ‘fact’ posts with clean pale backgrounds, all designed in-house with the same template. We then post one of these between every content post, ensuring that our content is unique and engaging but also has white space to break it up. Now it looks great when people visit our profile! Want to see our content?